Are you struggling to effectively treat behavior disorders, anxiety, and mood disorders in children and adolescents? 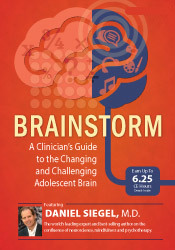 New York Times bestselling author and world-renowned neuropsychiatrist Daniel J. Siegel, M.D., has developed the Mindsight approach, which provides a unique understanding of the brain and developing mind. Built on decades of research, his approach expertly illuminates the science of how the young mind is wired, and provides brain integration strategies to support healthy development and achieve lasting change in the child's or adolescent's life. 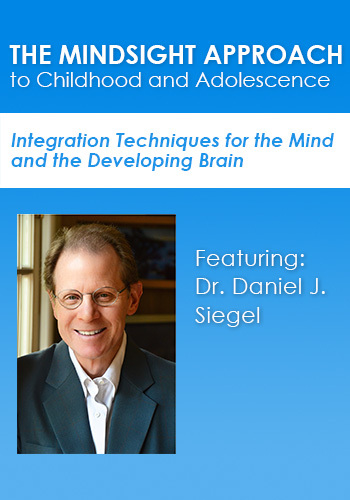 Now, Dr. Siegel invites you to join his exciting online course where you'll learn how to apply his interpersonal neurobiology strategies, including the Mindsight approach, to help children and adolescents thrive. Drawing from Dr. Siegel's 30+ years of psychotherapy experience, as well as new research in the field of interpersonal neurobiology, you'll learn simple, easy to master skills and interventions that will transform your practice and improve treatment outcomes. You’ll also discover easy ways to incorporate play techniques and other creative approaches to understand the child and adolescent mind. FREE Bonus: A 1.5 hour Q&A call recording where Dr. Siegel answers real questions on how to apply the Mindsight approach. If you work with children & adolescents, this course is for you! Earn up to 20.75 CPD Hours included in the course tuition! In this comprehensive course, you'll learn from one of the pioneers in the field of neurobiology about the developing mind of children. Join Dr. Siegel as he explores how to understand children and adolescents, respond more effectively to difficult situations, and build a foundation for social, emotional and mental health. Explore the changing child brain and learn creative strategies to treat anxiety, affective disorders, disruptive behavior disorder and executive functioning. Between the ages of 12 and 24, the brain changes in important, and oftentimes maddening, ways. Explore how brain development affects teenage behavior and relationships. Learn how you can use play for the clinical evaluation of a child or adolescent, because how a person plays reveals ways in which mental well-being may be present or impaired. In this presentation, Dr. Siegel will offer insights into hyper-rational thinking, impulsivity, changes in the dopamine drive for reward, and increases in the emotional reactivity of the brain to illuminate many of the potential risk factors during these transformative years of life. Rather than seeing adolescence as a period of immaturity or dysfunction, this view suggests that the essence of adolescence — the emotional spark, social engagement, novelty-seeking, and creative explorations — can best be harnessed by supporting these important aspects of our human development. 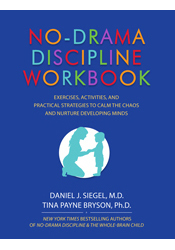 By Daniel J. Siegel, M.D., and Tina Payne Bryson, Ph.D. This workbook has a unique, interactive approach that allows readers not only to think more deeply about how the ideas fit their own parenting approach, but also develop specific and practical ways to implement the concepts — and bring them to life for themselves and their children. Discipline less on autopilot by developing a set of principles and strategies based on your own family dynamics. These stories, reflections, and exercises will help you think more deeply about the way you communicate with your kids, and provide opportunities for peaceful and nurturing conflict resolution. Obtain further insight on applying the Mindsight Approach with children and adolescents directly from Dr. Siegel as he answers real questions from your colleagues. Register for this engaging and experiential online course without risk. If you're not completely satisfied, give us a call at 800-844-8260. We're that confident that you'll find this learning experience to be all that's promised and more than you expected. Dr. Daniel J. Siegel shares his knowledge and experience in three engaging modules, which include teaching videos, powerful exercises, and valuable practical guidance. Click here for course objectives and outline. Review all the course materials at your own pace and at your convenience! Access all course videos and materials online forever. Plus, use the CE21 Mobile™ app to access the course content on-the-go, wherever and whenever you want on your mobile devices. Watch your email for the order confirmation and link to get immediate access to all course videos and materials online. You'll have the opportunity to instantly collaborate with other professionals on the course materials through interactive message boards. You'll be part of a community of practitioners all focused on these materials, providing valuable opportunities to share insight and experiences, and to build your professional network. Complete your online CPD tests and earn up to 20.75 CPD Hours! Click here for total course CE Credit and approval details specific to your profession. Daniel J. Siegel, M.D., is a graduate of Harvard Medical School and completed his postgraduate medical education at UCLA with training in pediatrics and child, adolescent, and adult psychiatry. He is currently a clinical professor of psychiatry at the UCLA School of Medicine, founding co-director of UCLA’s Mindful Awareness Research Center, founding co-investigator at the UCLA Center for Culture, Brain and Development, and executive director of the Mindsight Institute, an educational center devoted to promoting insight, compassion, and empathy in individuals, families, institutions, and communities. Dr. Siegel’s psychotherapy practice spans thirty years, and he has published extensively for the professional audience. He serves as the Founding Editor for the Norton Professional Series on Interpersonal Neurobiology which includes over three dozen textbooks. 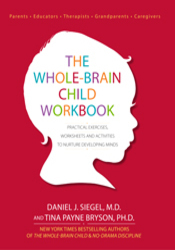 Dr. Siegel’s books include Mindsight, Pocket Guide to Interpersonal Neurobiology, The Developing Mind, Second Edition, The Mindful Therapist, The Mindful Brain, Parenting from the Inside Out (with Mary Hartzell, M.Ed. 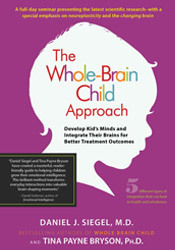 ), and the three New York Times bestsellers: Brainstorm, The Whole-Brain Child (with Tina Payne Bryson, Ph.D.), and his latest No-Drama Discipline (with Tina Payne Bryson, Ph.D.). He has been invited to lecture for the King of Thailand, Pope John Paul II, His Holiness the Dalai Lama, Google University, and TEDx. 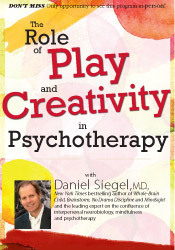 For more information about his educational programs and resources, please visit: www.DrDanSiegel.com.